Public trust in An Garda Síochána remains high despite recent scandals, but one in 10 people now have a low level of trust in the force. That’s according to the latest Garda Public Attitudes survey for the last three months of 2018. It found that 89% of the public has a mid-to-high level of trust in the service. However, approximately one in three people believe that community relations with police are poor. Furthermore, 40% agreed that police are not dealing with the things that matter to people in the community. The survey found the victimisation rate (those who were victims of crime) was 4.5% – the lowest since the first quarter of 2015. This compares with a rate of 6.2% for the corresponding period in 2017. A total of 16% of those surveyed said they considered crime in their local area to be a very serious or serious problem, the lowest level since the first three months in 2015. Nearly three-quarters (74%) of respondents perceived national crime to be a very serious or serious problem. 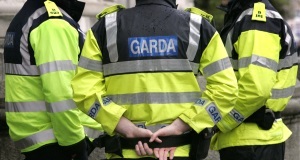 Gardaí said that this divergent perception of the seriousness of local and national crime has been a result across multiple quarterly public attitudes surveys. Some 63% said that fear of crime has no impact on their quality of life, an increase of 3% between the last two surveys. While the vast majority of respondents believe Gardaí would treat people with respect if they had contact with them for any reason, there has been a decrease in the perception that the organisation treats everyone fairly, regardless of who they are, over recent surveys. Deputy Commissioner Policing & Security, John Twomey said the survey highlighted many positive aspects of the public’s interaction with the Gardaí.